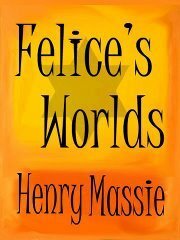 Welcome to our stop along the Pump Up Your Book Virtual Tour for Henry Massie's new book, Felice's Worlds! It's a pleasure to have Henry here on the blog today so he can discuss what inspired him to write his book. Dr. Henry Massie is a psychiatrist, award-winning author, and pioneering researcher in the field of autism. FELICE'S WORLDS--From the Holocaust to the Halls of Modern Art, is the a memoir and biography of his mother, a brilliant and beautiful woman who participated in many of the most critical periods of the 20th Century. First she escaped the Holocaust and the poverty of the shtetl. After that, she moved in many worlds. And in every one she made her mark. Felice Massie was a student in France, caught up in the horrors of Naziism when she was 20 years old. Cut off by the war from her family living in a small village in Poland, she shifted from one country to another attempting to find a home for herself and a means to rescue her parents, brother and sister. As the Holocaust descended on her shtetl, she arrived penniless in America. Over time she raised a family and amassed one of foremost collections of American modern art. Her boldness and resilience became a beacon of hope and inspiration for others. My mother entertained me with her adventures from the time I was a small child. She was a great story teller and I had a very dramatic vision of her and her life and times. As I grew older I wanted to share her stories with others. Sometimes she would tell an episode around our family dinner table. Sometimes she would launch into an adventure when we were with guests. At times she shared them with me alone, especially as she grew older after my father passed away. There were many different parts and periods to her life, and her stories revealed her as a bold, colorful, impulsive, brilliant woman who knew how to seize a moment and make it hers. The experiences she recounted brought to life bygone eras better than any history book, more completely than any movie. For example, I learned about life in the poor farming village of her girlhood in Poland near the Russian border. I learned what it was like to be singled out as "the pretty one, sprightly, special little girl whose father, the mayor, sent her away to get an education." She became the first girl from her village to go to university. I learned how she came of age in the 1930s and used the ruse of a false marriage to escape from the Nazis and enter Palestine. There she received the death threats from both Jews and Arabs because she treated everybody equally. Bitterly disappointment by the violence there, America beckoned her. I saw her descending the gangplank at Ellis Island in 1937, a young, penniless woman with a mission to send back money to rescue her family. She placed an ad offering child-care in the New Haven, Connecticut newspaper. Within days she moved into the home of the President of Yale University to be his daughter's governess and French and Latin tutor. This was her first work in America; her last work was as a philanthropist. In between she gathered one of the foremost collections of American Abstract Expressionist Art anywhere. Toward the end of her life she told me the tragedy of the death of her first love when she was a student in France, which she had kept secret. I was born in St. Louis, Missouri the day the Nazis marched into her little village and decimated the townspeople. Thus another reason I wrote FELICE'S WORLDS was to recount how the trauma of the Holocaust imprinted itself on her and how she passed this emotional trauma on to the next generation. I knew how her losses affected my mother because I heard her nightmares and her pacing at night. However only as I wrote her memoir, often in her very words, did I understand for the first time how I too had been affected by her experiences. The writing also became my memoir, and the insights about the psychological trauma of war as well as her resilience seemed important to share with others.